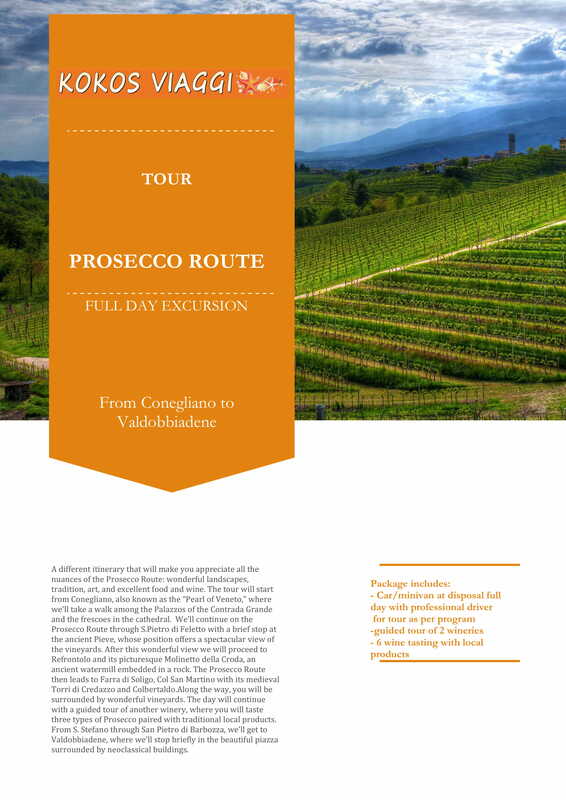 Kokos viaggi provides quality destination management services throughout Veneto region and in particular in Prosecco area, for individual and group travelers with competitive pricing. 360-degree services, particular and punctual attention to details and a dynamic multilingual young staff are the key of our success. We provide the most suitable solution for both FITs and groups. We offer complete services to our clients, from consultancy and program design, through on site operation, to departure assitance. During all these steps, we guarantee our continuous support and commitment. We are a company specializing in Destination Management. The passion that our dynamic and creative staff put in each new project is the base to create inspiring experiences. 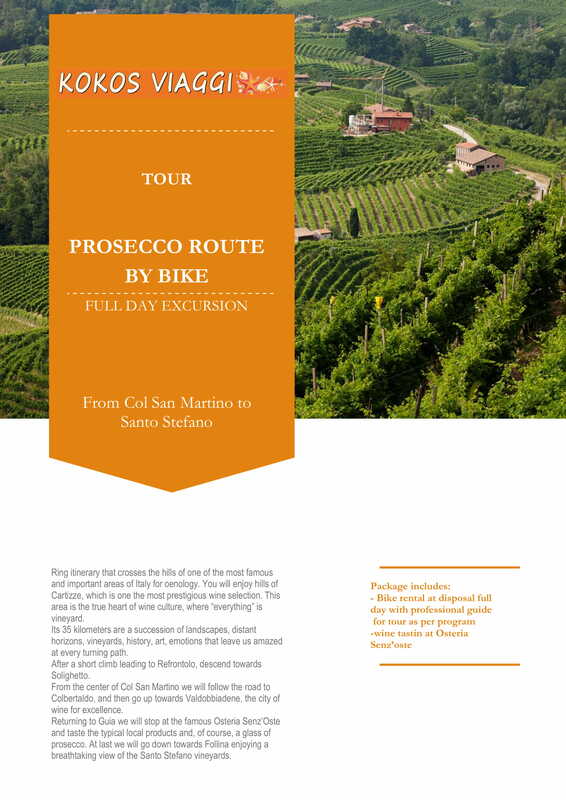 Veneto Region offers the widest choice of destinations in any season of the year: Venice, Verona, the Lakes, the Dolomites and Prosecco hills are only some of the prestigious destinations we service whether for leisure travel, incentives or corporate events. The Italian age-old tradition of music, gastronomy, craftsmanship, architecture and theatre are just some of the themes we propose for truly unrepeatable programs. The excellent standard of our service comes also as a result of creating strategic alliances with carefully selected partners and suppliers all over Italy, obtaining favorable conditions and dedication, for the ultimate benefit of our clients.